An announcement has just gone up on the publisher’s site for Populäre Serialität: Narration — Evolution — Distinktion. 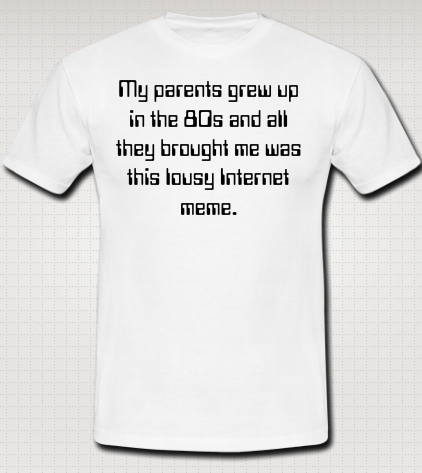 Zum seriellen Erzählen seit dem 19. Jahrhundert [i.e. 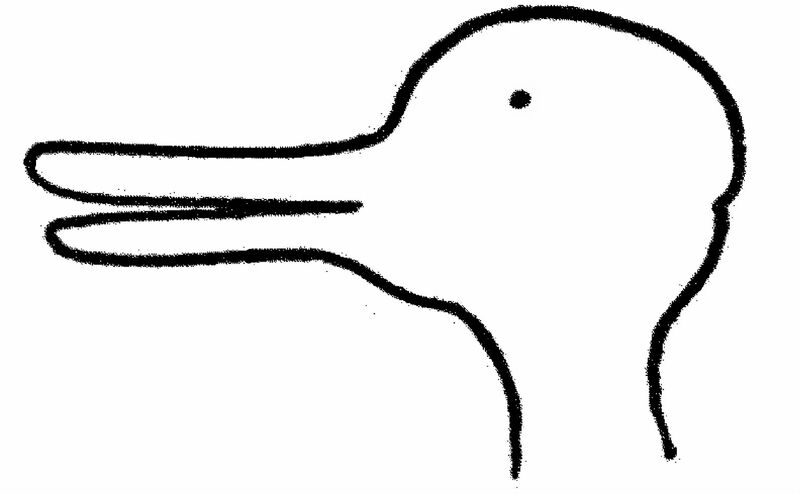 Popular Seriality: Narration — Evolution — Distinction. On Serial Storytelling since the 19th Century]. The volume, which is set to appear in August of this year with the German publisher transcript, is edited by Frank Kelleter (speaker for the DFG Research Unit on “Popular Seriality — Aesthetics and Practice,” of which I am a part), and it contains — among many other interesting chapters — a piece co-authored by myself and Ruth Mayer, called “Grenzgänger: Serielle Figuren im Medienwechsel” [roughly: Border-Crossers: Serial Figures and Media Change]. Contemporary American television shows such as Lost, Battlestar Galactica, 24, Alias, or Fringe construct long-running story-arcs around central narrative enigmas in order to inspire committed and regular viewing. In the unfolding of their central storylines such shows perpetually resist closure and defer the resolution of their central conflicts. The specific narrative trajectory of these shows, this paper argues, is best understood if viewed through the lens of conspiracy theory – or, rather, if these shows are conceptualized as conspiracy narratives: as crime fictions of a grand (and, at times, cosmic) scope, as stories that circle around a potentially endless conflict between cunning protagonists and nefarious hidden powers, between investigations and cover-ups. In such programs conspiracy is more than just a thematic preoccupation — it also functions as an organizational logic or structure that governs the way in which these shows tell their stories. 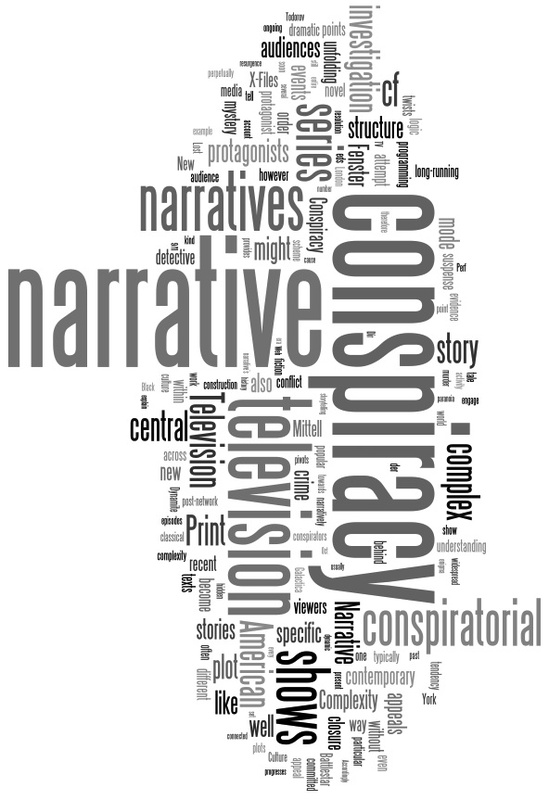 I argue that the success of such programs is indebted to this particular way of storytelling, which I call the ‘conspiratorial mode.’ This article sketches the narrative structure of conspiratorial programs, situates them in the context of post-network television, and considers their curious dynamics of narrative progression and deferral. Finally, it offers an account of the shared characteristics of shows that partake in the conspiratorial mode of storytelling and suggests reasons for the recent prominence of conspiracy narratives in American television beyond and apart from a paranoia that is supposedly widespread in contemporary American culture. The full text of the article can be found here. The millions of people who went to the movie theaters to watch Disney’s animated film The Princess and the Frog (dir. Ron Clemens and John Musker, 2009) encountered a singing and trumpeting alligator named Louis. Set in a mythologized New Orleans of the 1920s, the movie cooks up a gumbo of popular ingredients ranging from the city’s famous street parades and Mississippi entertainment ships to highly stylized images of Harlem Renaissance dance hall decors. While the anthropomorphic Louis is only one of many side characters, he is especially noteworthy because he pays homage to one of New Orleans’s most famous sons and one of America’s most popular twentieth-century icons: the jazz trumpeter, singer, and actor Louis Armstrong (1901-1971). 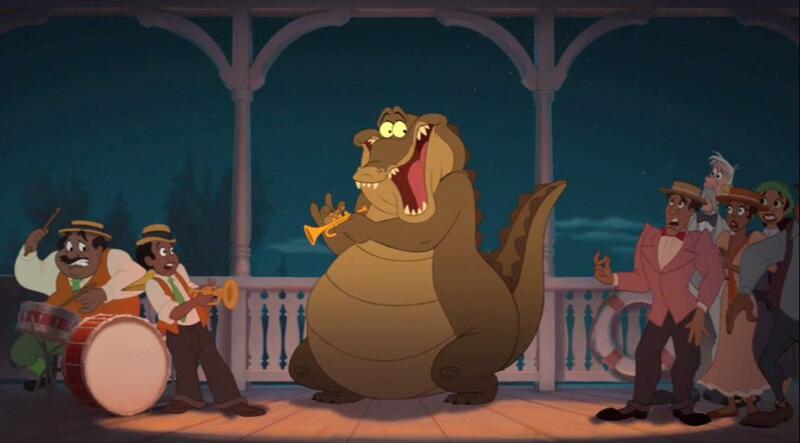 For many of Disney’s viewers, connecting the lovable cartoon alligator with the historical Louis Armstrong would have been relatively easy (the trumpet style and speaking voice pretty much give it away). Indeed, ever since Ken Burns’s highly acclaimed PBS documentaryJazz (2001), Armstrong has perhaps been the most visible and readily identifiable figure in American culture. But as I argue in my book, it was not just audiences, journalists, biographers, and documentary filmmakers who contributed to Armstrong’s lasting status as a jazz legend: Armstrong himself actively impacted his public reception and still shapes our understanding of jazz today. How did that happen? 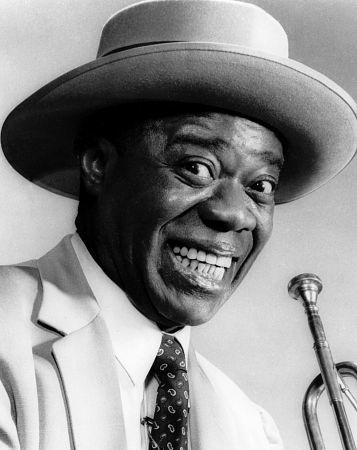 Obviously, his recordings from the 1920s (with King Oliver’s Creole Jazz Band as well as his own Hot Five and Hot Seven) until the very end of his life (with the All Stars), his relentless touring all over the world, and his many film roles and television appearances add up to a vast sonic and visual archive of material that fans and scholars continue to mine for meaning. Yet Armstrong was also a writer, and a prolific one at that. He enjoyed only minimal formal education and did not receive any specific literary training, but he began to write on a daily basis when he moved from New Orleans to Chicago in 1922 and did not stop until he passed away almost fifty years later. He did most of his writing on a portable typewriter but wrote in longhand whenever he did not have access to this typewriter. 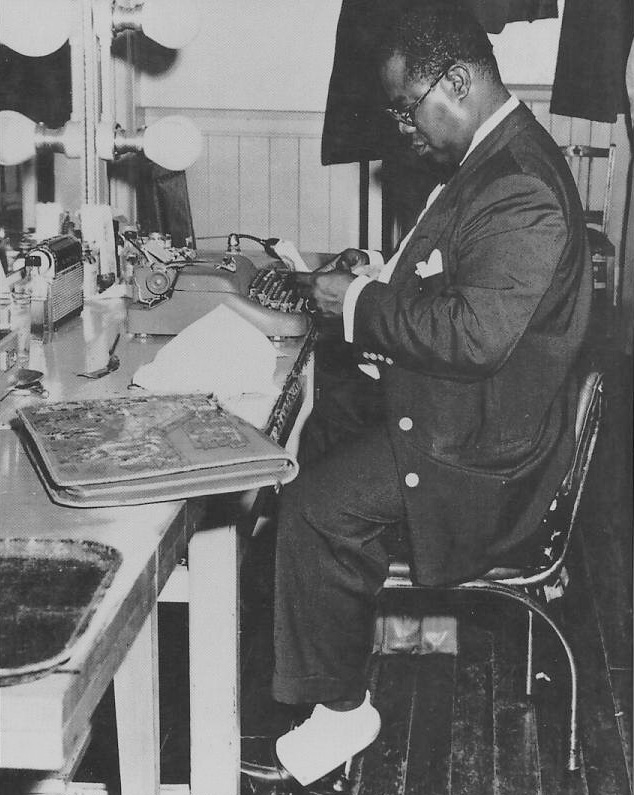 Over the course of his life, he penned thousands of letters and wrote dozens of longer narratives, including two autobiographical books, Swing That Music (partially ghostwritten and published in 1936) and Satchmo: My Life in New Orleans (1954), and a variety of magazine articles, several of which are collected in Thomas Brothers’s Louis Armstrong, in His Own Words: Selected Writings (1999). The Louis Armstrong House Museum in Queens houses many of these and other materials, and I was privileged to draw on some of their holdings for my research. My book is the first scholarly attempt to conduct a comprehensive study of Armstrong as a writer. 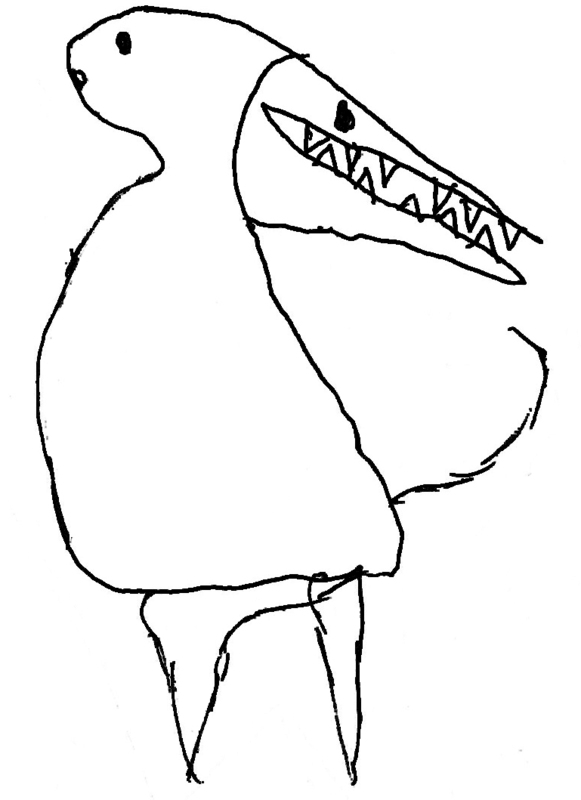 As such, it traces his evolution as a writer over several decades and pays particular attention to his idiosyncratic autobiographical practice: his tendency to treat all written expression as a spontaneous form of life writing in which the moment of autobiographical performance is determined by the writer’s interaction with his medium – typewriter, pen, paper – and his imagined audiences. Once we understand Armstrong along these lines as a vernacular storyteller whose objective was to communicate his views about his life and his music, we get a better sense of how central the autobiographical mode was to all of his expressive efforts, including his singing, trumpet playing, and film acting, as well as his curious habit of assembling photo-collages and preserving snapshots of his public and private lives on his tape recorders. In the first half of the book, I argue that Armstrong was actually an intermedia performer whose central mode of communication was autobiography and whose autobiographical performances across media were characterized by many of the principles that also structure jazz: spontaneity, interaction, variation, and humor. Dissatisfied with formalistic approaches to Armstrong’s jazz and with biographical studies that too often take the musician’s words and actions at face value, the second half of the book offers extensive historical and cultural contextualization of what I call Satchmo’s autobiographics: the cultural resonances evoked in and through Armstrong’s performances across media. It is especially the controversial history of blackface minstrelsy and its modern reformulations by twentieth-century jazz performers that infuse Armstrong’s productive ambiguities: the manifold, and often contradictory, cultural contexts and racial discourses that were produced by his performances and that trouble all too easy declarations of Armstrong as either a submissive “Uncle Tom” (as many of his detractors had it during the civil rights movement) or an exceptionally cunning trickster figure who transcended racial boundaries and stereotypes (as many of his present-day followers would have it). Crucially, these ambiguities continue to be productive almost four decades after Armstrong’s death. They can be seen and heard in Disney’s Princess and the Frog as well. After all, alligator Louis is both a masterful jazz musician of the highest order and a clumsy, bumbling comical character whom students of American racial stereotypes will readily associate with the actual and figurative blackface representations that have “colored” American popular culture for at least two centuries. Whether Armstrong would have been the jazz figure of choice for this Disney movie had he not written so prolifically about his life and his music must, of course, remain a matter of speculation. But that Armstrong’s LP Disney Songs the Satchmo Way(1968) has caused both vitriolic criticism as an alleged pandering to minstrel conventions and glorious praise for its supposedly sublime interpretations of popular songs is indeed instructive. I think that rather than siding with one of these assessments, we should dig even deeper into the musician’s textual, sonic, and visual archive and continue to trace the ambiguities that make Satchmo’s autobiographics so endlessly fascinating. 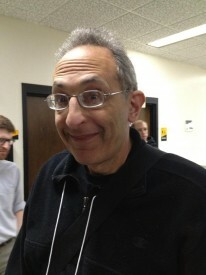 Tomorrow (Wednesday, May 16, 2012, at 6:00 pm in room 615 of the Conti-Hochhaus), the Film & TV Reading Group will meet to discuss Steven Shaviro’s take on the “chaos cinema” debates (and his alternative idea of “post-continuity”). Felix Brinker will be moderating the discussion, which will center around a recent talk by Shaviro on the topic (which can be found on his blog, here: http://www.shaviro.com/Blog/?p=1034). As usual, everyone is welcome to join us!